With falling solar power prices and increasing prices of electricity from the conventional sources of power, today, solar system for homes on the rooftop is no more a distant dream but a reality. 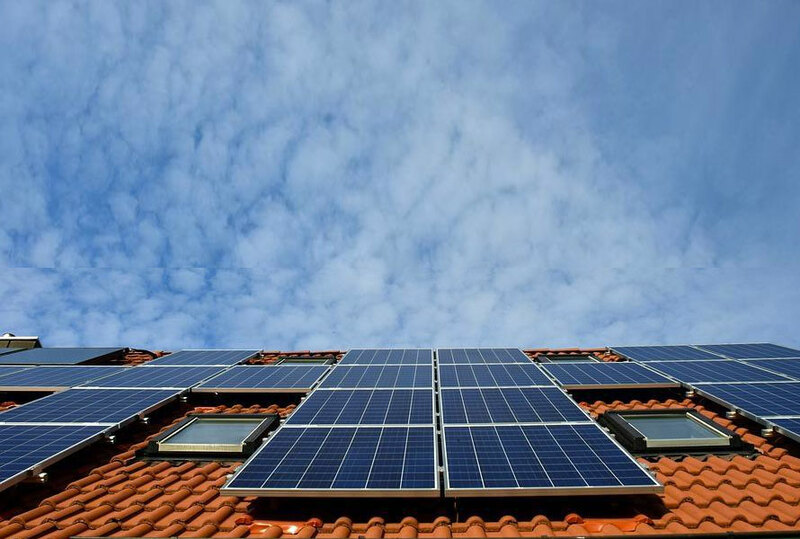 Plenty of residential users today have started adopting solar, not just to meet their power demands in a clean way but also as a source of financial savings and for great returns on investment. We have talked in much details and depth about how installing solar systems for homes in Delhi makes financial, economic and environmental sense. The case is true for any part of India as we receive easily more than 300 days of direct sunlight throughout the year. So, whether you are in Noida, Greater Noida, Faridabad, Ghaziabad, Mumbai, Chennai or Bengaluru, installing solar rooftop plant at your residence is a very rewarding decision. What are the benefits of a solar system at your rooftop? 1) With a solar system, you will be producing and consuming your own power. This means, you will consume power at a set price for the next 25 years. While those around you without solar will keep paying for power slab-wise and increasing grid prices over the years, your cost of power will be fixed today for the next 25 years. 2) In case, your area sees a lot of power cuts, a battery-backed solar system would ensure you have an alternative to grid power and not have to live without fans, lights, and air-conditioners. Unlike the old technology behind traditional inverters, you can run all your appliances including ACs, with your solar system. 3) Producing your own power with the solar system would mean you save on your electricity bill. If you go completely solar, no more electricity bill till the lifetime of your plant. 4) A solar system can be designed and customised according to your needs. Add to it, you will be utilizing your rooftop which is most likely lying barren. Even if you want to make use of your rooftop post installing solar panels, it is possible with the help of structures at extra height. 5) With the cost of solar having coming down drastically, today cost of installing a solar system is highly economical. 6) Needless to day, with a solar system for your home, you will be making a vital contribution to the environment. 1) The first thing that you must do is to schedule your site survey. Currently, the MYSUN site survey services are available in the entire Delhi/NCR region. For our users, beyond Delhi/NCR, we offer a wonderfully detailed free solar assessment report as well as refer them to our partners that are spread wide and across the country. 2) Once you have scheduled your site survey, a highly advanced assessment of the site is conducted on the day of your choice. It generally takes between 1 to 2 hours to thoroughly map the site, conduct a detailed shadow analysis and take the radiation readings in order to ensure the installed solar system gives you the best generation and hence financial returns. Site assessment is the most critical part of designing your solar system as this is what determines the final design of your system. An improper system design, a wrong shadow analysis true for the next 25 years will mean you are stuck with a poor solar system for life. With MYSUN's engineering team's experience of designing more than a 1000 solar systems, our site assessment methods and techniques are genuinely a class apart. 3) Post the site assessment, our engineering team proposes an expertly design layout for your solar system. During the design process, we ensure the maximum solar power generation highest possible savings and returns. A lot of care is taken into ensuring that the rooftop looks neat and clean and your solar system makes your home stand apart. 4) Alongside the design, a financial proposal is presented to you. Here, if you wish to opt for, you will have the opportunity to use MYSUN Solar Financing products that allow you to build your own financing package, apply for solar loan or use the MYSUN Flexi Pay options. Finance therefore will no longer be the hinderance for you to go solar. Both the design and the financing options can be customised as per your requirement. Our most recent offering allows you to buy a solar system with No Down Payment. That shows our great confidence in the quality and long term reliability of our solar PV systems. 5) Quick delivery and installation: Once you have given your go ahead on the financing and design, we deliver your solar system kit within a few days. It typically takes anywhere between 2 days to 5 days for the installation process to be completed. 6) Post installation, depending upon the type of system you have opted for (here are the different types of solar systems that are available), commissioning of the plant happens with the regulatory permissions and the plant is handed over to you. While it is all great to install solar and start the generation, in order to maintain the generation, you must sign up an AMC or O&M partner. We have written more details about Service Packages here. So, there you have everything you need to know about going solar for your residence. It is extremely simple and easy, and with MYSUN, it is reliable as well as trustworthy. So, what are you waiting for? Go ahead and book your site survey and install solar system for homes via MYSUN. We have responded to the query on your shared E-Mail ID. We have shared the next steps with you on the provided E-Mail ID.